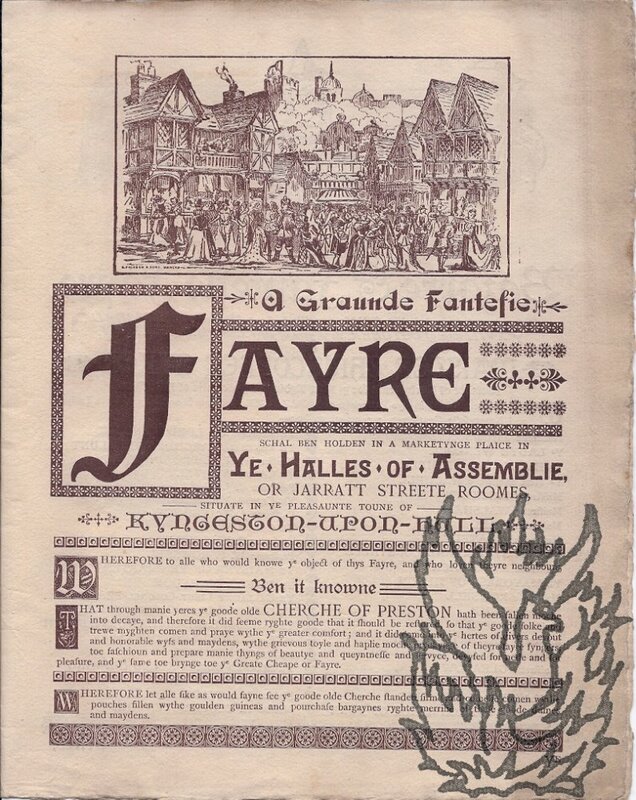 [Printed illustrated handbill advertisement] A Graunde Fantesie Fayre schal be holden in a Marketynge Plaice in Ye Halles of Assemblie, or Jarratt Streete Roomes, situate in ye pleasaunte toune of Kyngeston-upon-Hull. 4to, 4 pp. Bifolium. 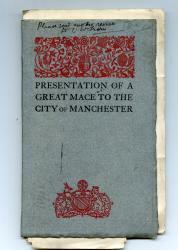 Printed in brown on watermarked laid paper. Fair, on aged paper. An exercise in Wardour Street English, foreshadowing in some respects the Leadenhall Press with its mish-mash of fonts and point sizes, and its antiquated decorative rules. 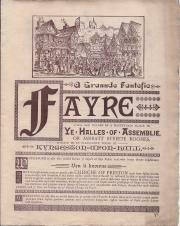 The fair will be opened by 'Maister Christophere Sykes, Member of Parlymente for ye East Ryding of ye Countie of Yorkshire'. Names of the great and good expected to attend. Vignettes of a tudor fair, three medieval women, two jousting knights, a posy, chairmen, two men in eighteenth-century garb, a dinner table. Presentation of a Great Mace to the City of Manchester. Two copies: one a revised proof, the other out-of-series, with manuscript additions to the list of subscribers. Both copies 8vo, 25 pp, in original grey printed wraps. Both copies internally tight and clean, in grubby wraps. 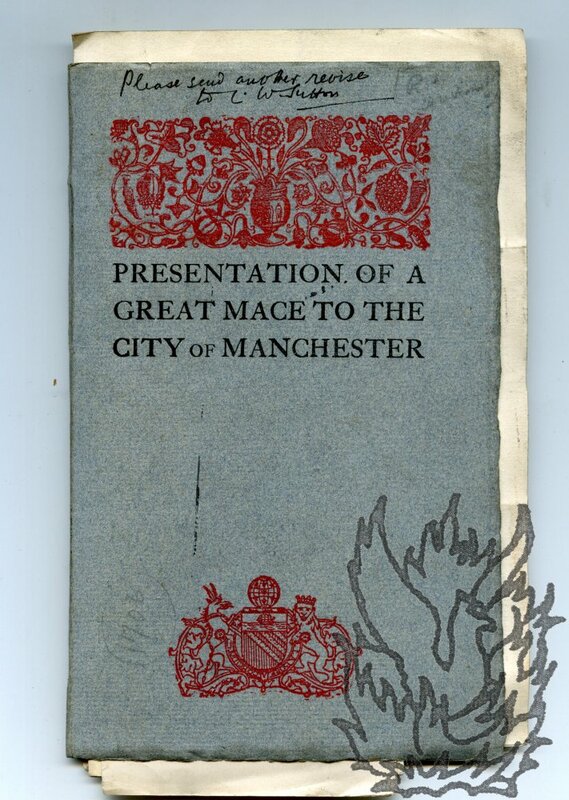 Attractively printed on thick laid paper, with the wraps printed in red and black. Pp.7-9 of the proof have been deleted, with the manuscript instruction, p.7: 'Take out this & the passages marked on next two pages & insert MS. sent'.